At first glance I thought this must be a light, fluffy book, probably more “hen” than “chick” lit and probably not to my taste…but I was so wrong as I read/devoured it in two sittings – would have been one sitting but children need fed etc! 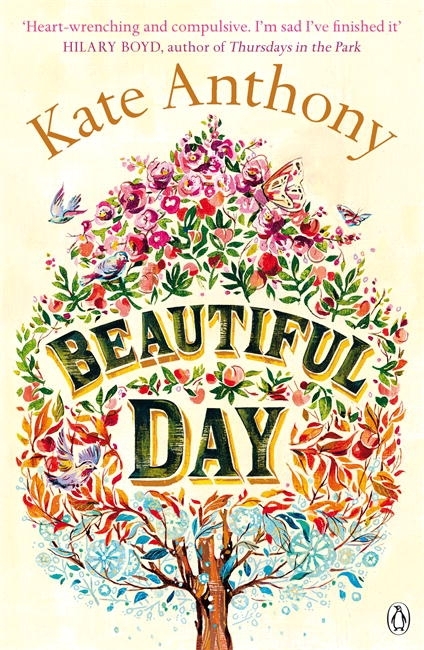 It’s hard to believe this is a debut novel as it is so self-assured and engaging but Kate Anthony has expertly drawn on her experience as a residential social worker in this tale of domestic adjustments and new beginnings. Our narrator is Rachel Bidewell, single mother of three, whose feckless husband Dom has absconded with the younger, childless Deborah. Rachel has been out of the workplace for a long time but now she is starting a new job as a Residential Care Assistant at Clifton Avenue, a care home for adults with special needs. She is assigned as a key worker for Philip, a new resident who is virtually non-verbal and lacking any social skills. The novel examines Rachel’s struggles at both home and work as she strives to keep her head above water. The divorce has shaken the foundations of her family and the details of childcare, finance, custody arrangements, schooling just wear her down. Somehow, the author creates a realistic picture of a family in turmoil whilst maintaining a lightness and sense of humour. It’s probably a case of “if you don’t laugh, you’ll cry”. Rachel is only human and loses her temper when stressed. Who could blame her when Dom is buying his way into the children’s affections and the children don’t want to hurt either parent. Alongside this portrayal of a changing family dynamics is the depiction of Philip who has to adjust to a much noisier, busier environment in the care home. He is such a fragile soul, you really hope for the best for him. Rob, the Deputy Manager of the home, seems to be on Rachel’s wavelength and she needs all the support she can get at the moment. Certainly the themes here are challenging – the effects of divorce on parents and children, the relationship between carer and those you care for, identity and how we all need care. I really enjoyed the insights into residential care and Rachel and her family’s struggles seem very similar to those being experienced by one of my friends at the moment. A warm, down-to-earth story about ordinary folk coping with extraordinary experiences. I will certainly look out for more of Kate Anthony’s writing based on this impressive debut. My thanks to Real Readers for sending me this novel to review. This entry was posted on Monday, April 7th, 2014 at 3:50 pm	and is filed under Contemporary Fiction, Proofs. You can follow any responses to this entry through the RSS 2.0 feed. You can leave a response, or trackback from your own site. Thank you Treez – this one is on my radar, several RISI people like it, so I will look out for it. There’s nothing remotely quirky about it, Susan, but I really enjoyed it!